Finally, some of my own work here. 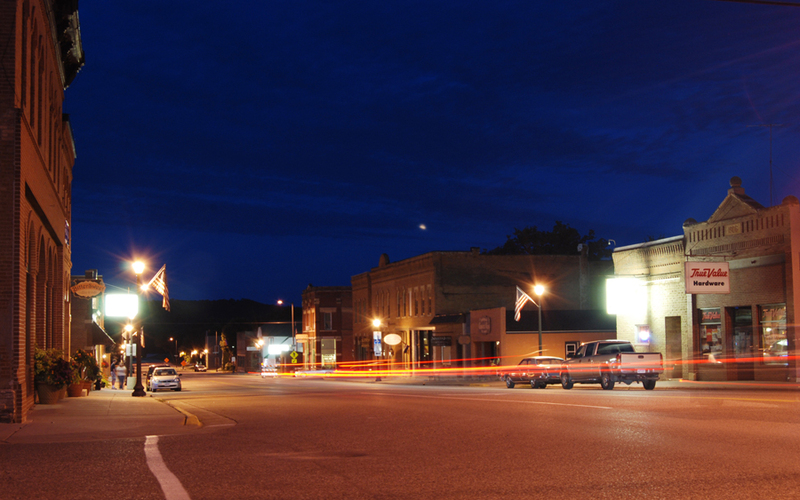 I detoured through the small town of Henderson, MN this weekend on my way home knowing that this small, historic main street was just begging to be photographed at night. If there's feedback of any sorts, I just may begin including more of my own work here. you should tell us your settings too when you take these pix! Actually Tanya, just click on the photo and on the corresponding page which you land on at Flickr, click on the "more properties" link and the bulk of the settings should be there. This one is simply a long exposure (10 seconds? ).